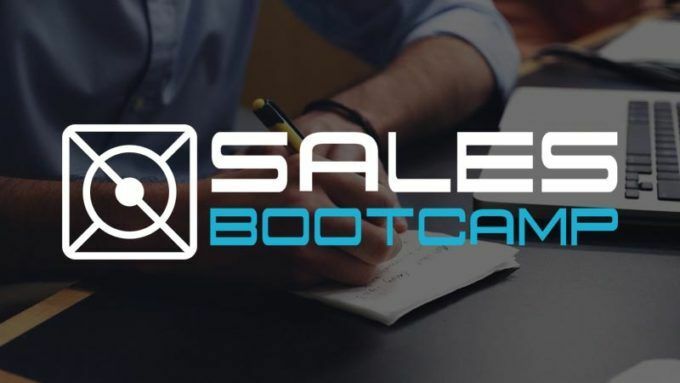 Sales Bootcamp, the world’s first full-time, immersive sales bootcamp has closed a $600,000 seed round led by Creative Ventures and Discovery Ventures Seed Fund. “We raised a seed round because we want to make sure we’re focused on recruiting the best students, providing the best training, and partnering with companies that will settle for nothing other than all-star Sales Development Representatives,” said CEO James Nielsen. In addition to their geographic expansion, Sales Bootcamp has assembled a Dream Team of thought leaders in the Sales Development space. Aaron Ross, best-selling author of Predictable Revenue and well known for generating $100 million in outbound revenue for Salesforce, has been working with the Sales Bootcamp team since 2015 and has now formally joined the Board of Advisors. “James has a unique mix of academic and sales leadership experience that is hard to find anywhere. I look forward to helping the Sales Bootcamp team find and train the next generation of top performing sales professionals,” said Ross. Trish Bertuzzi, arguably the most respected thought leader in Sales Development, literally wrote the playbook on Sales Development. It’s appropriately called “The Sales Development Playbook” and is a core part of the Sales Bootcamp curriculum. “Finding, hiring, and training new Sales Development Reps has been a major strain on high growth companies and I’m thrilled to be working with the Sales Bootcamp team to solve this major gap in professional education,” said Bertuzzi. Finally, Max Altschuler, CEO of Sales Hacker, has quickly grown one of the most elite brands in sales events, conferences, and thought leadership. “Sales training is a critical part of any successful sales organization and I’m glad to see the Sales Bootcamp team identify and train young reps before their first day as a sales rep. I look forward to advising Sales Bootcamp on creating a feeder system into the world’s top sales organizations,” comments Altschuler. Leading the enormous sales bootcamp market opportunity, it’s only appropriate that Sales Bootcamp, Inc. has recruited and assembled the top thought leaders in Sales Development on their Board. You can learn more about their courses at salesbootcamp.com or interview their graduates by sending an email to contact@salesbootcamp.com.